I found this cool one hour documentary on the life of Gautama Buddha at Archive Fire, a very cool blog for those who have never been there. The following documentary (50mins) covers the life of Siddhartha Gautama, a young prince from India who went out to find the reason for Dukkha [suffering] of human life. He later found the reason of Dukkha and teached a way to live life. He was later known as the Buddha, the founder of "Buddhism". This TEDxSantaCruz talk is part of over 2 dozen surrounding our theme of "Engage!" This inaugural TEDxSantaCruz event was held June 11, 2011 at the Cabrillo College Music Recital Hall in Aptos, CA (Santa Cruz County). Charlie Rose did the right thing for the most part and allowed the Slavoj Zizek to engage in his usual monologue - it would have been better if Rose would have simply allowed him to go - the few times Rose interrupted seemed like an effort to show his own intelligence or knowledge, which is always a bad thing in an interviewer. I found this new venture through the CG Jung Page - seems like a cool idea. They are devoted to exploring and promoting the work of Wolfgang Giegerich, someone of whom I have never heard, who appears to be a well-known and important Jungian. You can read Giegerich's seminal paper, The End of Meaning and the Birth of Man: An essay about the state reached in the history of consciousness and an analysis of C.G. Jung's psychology project online. This newly inaugurated organization will focus on developing and critiquing the thinking initiated by Wolfgang Giegerich. Born from intellectual excitement engendered by the writings of Wolfgang Giegerich, the Society is dedicated to the development of a psychology that is truly psychological in its spirit and conception. With the participation and thoughtful contributions of its membership to the issues with which we will be interested, the aim of the Society is to further develop and critique the thinking initiated by Giegerich in his The Soul's Logical Life and Collected English Papers, vols. I to IV. In addition to the online resources that will be available to members (which includes a discussion forum), there will be a conference for members and interested non-members in Berlin at which Wolfgang Giegerich will present as keynote speaker. Scheduled to take place from July 20-25, 2012, at the Crown Plaza Berlin City Centre Hotel, the theme of the conference is "Psychology as the Discipline of Interiority." As members of the Society those who decide to join us will be kept posted regarding any details about the conference, such as rates for rooms and the fees for the conference itself. We are making every effort to plan a rich and stimulating conference at an overall affordable price for the whole package. The call for proposals for papers will be finalized very soon and will be available through the Society website. 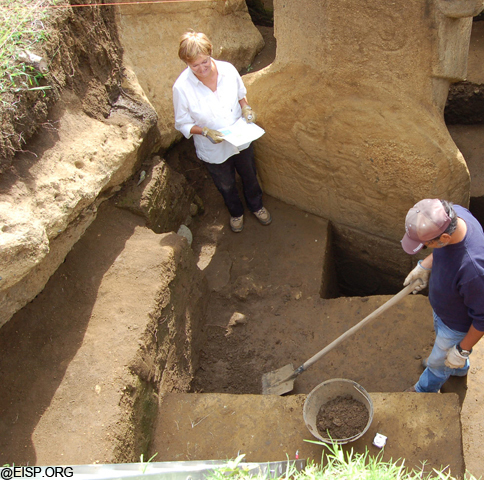 The deadline for proposals will be October 31, 2011. Should you wish to become a member, click the "Become a Member" link on the home page for details. So that there is no misunderstanding about the purpose of our society, we must make it clear that we are not offering training or certification for any professional activities as a therapist, analyst or psychologist. By becoming a member we presume you understand and accept the specific goals of the Society as described above and in more detail on the website. Also, membership dues are not tax deductible except as a personal business expense. Consult with your tax adviser on this matter. The Society is incorporated as a legal not-for-profit entity. We hope you will visit the website at www.ispdi.org and possibly decide to join us in this exciting intellectual venture of the Society. Executive Committee: John Hoedl, Greg Mogenson, John Robertson, Peter White, Santo Tarantino, Chair. The International Society for Psychology as the Discipline for Interiority has a well-developed website with a handful of papers available and a mission statement of sorts on the main page. In The Guardian UK, philosopher and social critic Slavoj Žižek offers some advice for the #occupywallstreet movement - he advises them (us) not to fall into some quick definition of purpose, citing Bill Clinton's suggestion that the #OWS movement get behind Obama's job plan so as to be for something rather than against the system as it currently operates. He also addresses and refutes the conservative attacks on the protesters as un-American, as violent, as communists, as dreamers, as losers - all simple-minded ways to discredit the sense of fairness that gave rise to the cause. Cool - this GoogleTechTalk was recorded a year ago, but they just now posted it. Good stuff - I'm a fan of Austin's Zen and the Brain. James H. Austin is Emeritus Professor of Neurology, University of Colorado Health Sciences Center. Austin is the author of his well known book Zen and the Brain, which aims to establish links between the neurological workings of the human brain and meditation. Austin has written two sequels to it: Zen-Brain Reflections (February, 2006), and Selfless Insight Zen (2009). He was student of the late Rinzai roshi Kobori Nanrei Sohaku. An Iraq war veteran who survived two tours of duty in combat has been seriously injured by a police projectile (likely a teargas canister) that fractured his skull. He is in critical condition and under sedation as doctors monitor the damage he has suffered. The situation around the #occupyoakland protests have gotten WAY out of hand - the police seem to be overreacting in very violent ways. Democracy Now! has the coverage. Dr. Cornel West: "We Are in a Magnificent Moment of Democratic Awakening"
AMY GOODMAN: As we broadcast, protesters with the Occupy San Francisco encampment are preparing for possible eviction by police, but reports just now coming in say police may have called off their raid. Meanwhile, across the Bay last night, thousands of people reclaimed the Occupy Oakland encampment in front of City Hall after police dispersed them Tuesday night using bean bag projectiles and tear gas. At last night’s general assembly, the Occupy Oakland encampment voted almost unanimously to call for a general strike on November 2nd, saying, quote, "Instead of workers going to work and students going to school, the people will converge on downtown Oakland to shut down the city. 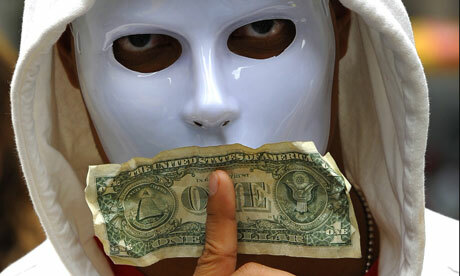 All banks and corporations should close down for the day or we will march on them," the statement said. A spokesperson for Highland Hospital in East Oakland has confirmed that Scott Olsen remains in critical condition. He suffered from a fractured skull and brain swelling. One of Olsen’s friends, Adele Carpenter, told Reuters, "The irony is not lost on anyone here that this is someone who survived two tours in Iraq and is now seriously injured by the Oakland police force." Olsen served in Iraq from 2006 to 2010 with the 3rd Battalion, 4th Marine Regiment. Acting Oakland Police Chief Howard Jordan told a news conference his department is investigating the injury to Olsen as a "level one" incident, the highest level for an internal police inquiry. He declined to confirm whether Olsen was struck with a projectile fired by police. Wow - amazing pictures from this project. 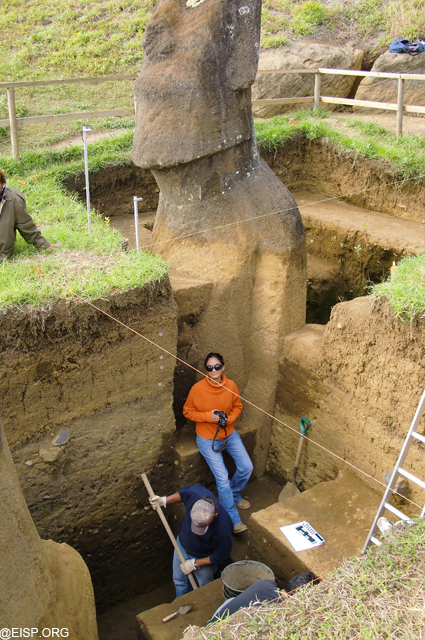 The degree to which these statues are embedded in the ground is something I have not seen before. Incredible. It boggles the mind that any primal culture could have done this without some kind of advanced technology. You can read their brief summary of this season's work at the link below - there are also more pictures. This interesting article comes The CG Jung Page - a paper presented in a public lecture at the C.G. Jung Education Center in Pittsburg, PA, by Brian Skea. In this article, he discusses trauma, transference and transformation in relationship to the dissociated complex that can cause neurotic conflict or more serious disorders, such as Borderline Personality Disorder, Posttraumatic Stress Disorder or even psychosis. A paper presented in a public lecture at the C.G. Jung Education Center in Pittsburgh, PA, on February 3, 1995. Along with Freud and Janet, Jung was one of the pioneers of the psychoanalytic movement. In the early years, at the start of the twentieth century, trauma, especially childhood sexual abuse, was implicated in the development of hysteria and conversion disorders in adults. Jung's early contribution was his complex theory, in which he showed how trauma promotes the formation of autonomous complexes in the psyche. In binding traumatic memories, images and affects, the dissociated complex protects the ego from being overwhelmed. However, the complex can be subsequently triggered and can compete with the ego for dominance of the conscious personality, causing neurotic conflict, or more serious disorders, such as Borderline Personality Disorder, Posttraumatic Stress Disorder, the dissociative disorders, or even psychosis. Jung's contribution to the fields of dissociation and post- traumatic stress has however been ignored in historical reviews by experts such as Putnam and Kluft (1993), or Herman (1992). Likewise Jungian psychologists have not published on trauma, abuse and the dissociative disorders. Exceptions are Emmett Early, his book, The Raven's Return, The Influence of Psychological Trauma on Individuals and Culture (1993) and Richard Noll, his 1989 article in the JAP, "Multiple Personality, Dissociation, and C.G. Jung's Complex Theory," though he has since strangely rejected his earlier paper (1993). In actual fact, Jung, early in his work, minimised the impact of exogenous trauma on complex formation, emphasising more the endogenous trauma caused by conflictual fantasy. He also focussed on the capacity of the psyche to split into different personalities or systems of consciousness as an aspect of normal, that is, supposedly non-trauma-related complex formation. He postulated that these complexes originated in the archetypal depths of the psyche, deep structures, patterns and ways of living that represent an inherited memory of the history of human culture. Jung proposed that this dissociative capacity of the normal psyche promotes the expansion of the personality through greater differentiation of function. He said that dissociation "allows certain parts of the psychic structure to be singled out so that, by concentration of the will, they can be trained and brought to their maximum development....This produces an unbalanced state similar to that caused by a dominant complex -a change of personality" (Jung (1960), p122). Erich Neuman developed this further in The Great Mother(1955): "Thus to the differentiation of consciousness corresponds a more differentiated manifestation of the unconscious, its archetypes and symbols." The fragmentation of primordial undifferentiated archetypes, for example, the Great Mother, leads to the emergence of individual archetypes, such as the witch, the whore, the young goddess, the wise woman etc. This parallels the discriminatory powers of ego consciousness to embrace such diverse archetypal images, in this case, of the Feminine, without being possessed and overwhelmed by them. Cultural change is hinted at here, brought about by creative, heroic individuals who dare to bring socially useful archetypal ideas or innovations into consciousness. This benign Jungian view can be wedded to a pathological view of dissociation, say arising from trauma, via acknowledging that early trauma can stimulate the creation of adult heroes, prophets, artists, and healers, for example, Moses, Frida Kahlo, Mozart, or Jung himself, exceptional individual cases who were able to creatively transform their traumatic experiences. Not many of us reach this level, but Jung believed that his form of therapy could restore pathological forms of dissociation to health via some of the methods that creative individuals have discovered spontaneously. These always involve some form of conscious expression of the emergence of healing images and symbols from the unconscious, via dreams, art work, dance, active imagination, sandtray, etc. This relates to Jung's concept of the individuation process, which implies the development of wholeness of the personality. In actual fact, most creative individuals are not well-rounded, but are one-sided and "unbalanced" in the direction of their area of genius. The area where they seem so often immature, if not pathological is in the area of relationships. This was true of Jung, artists such as Frida Kahlo (1983), and traumatised dissociative clients that I have worked with, however talented and creative. Because of his view of dissociation as a normal aspect of the psyche, Jung never took the trauma theory or the seduction theory of causation of neurosis as seriously as did Freud. This can be seen from his early papers on his work with early patients at the Burgholzi, notably Sabina Spielrein, his research on complexes via the word association test, and his doctoral dissertation, which we will be looking at in this paper. I will explore Jung's description of multiple personality or multiple complex formation, firstly, in his young cousin, Helene, found in his first published work, his doctoral dissertation, On the Psychology and Pathology of So-Called Occult Phenomena (1902) and, secondly, in himself, found in his last published work, his autobiography, Memories, Dreams, Reflections (1961). I will explore the role of trauma in both of their lives, which seems to me to have played a larger part in the development of their conflicted fantasy life and to obvious dissociative symptoms in childhood and adolescence, than Jung has acknowledged. Jung appeared to have healed his own inner splits by innovative self- healing methods, involving written inner dialogues, fantasy journeys, playing with water, sand and rock that he made into a miniature town, and painting his dreams. He also described the apparent resolution of his cousin's dissociated state following her participation in a series of seances that Jung attended. That Helene was Jung's first patient has been suggested by William Goodheart (1984), who has also investigated the transference- countertransference aspects of the case, raising troubling questions which we will explore further. As with many dissociative individuals, intimate relationships were clearly problematic for both Jung and his young cousin, before, during and after their relationship. The transference- countertransference field of a therapeutic relationship is a place where dissociative and traumatic interpersonal scenarios from past relationships can be reenacted and possibly resolved as long as the therapist is conscious of projective identification phenomena constellated between himself and his client (see Davies & Frawley, 1994). This was clearly not so for the young Jung, and likewise even in some of his later therapy relationships, despite his theoretical consciousness of these phenomena in his writings, eg The Psychology of the Transference (1954). In fact both Goodheart and psychohistorian, John Kerr, in his book, A Most Dangerous Method, (1993) suggest that Helene's relationship with Jung was ultimately traumatising to her rather than therapeutic. 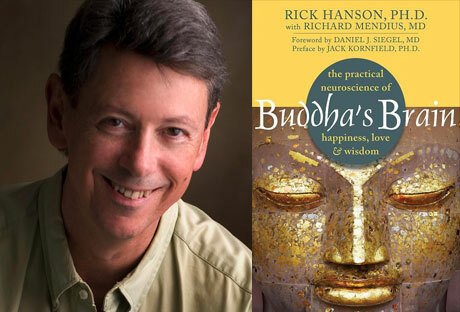 Rick Hanson, Ph.D., is a neuropsychologist and author of the bestselling Buddha's Brain: The Practical Neuroscience of Happiness, Love, and Wisdom (in 21 languages) - and Just One Thing: Developing a Buddha Brain One Simple Practice at a Time. Founder of the Wellspring Institute for Neuroscience and Contemplative Wisdom and Affiliate of the Greater Good Science Center at UC Berkeley, he's taught at Oxford, Stanford, and Harvard, and in meditation centers in Europe, North America, and Australia. His work has been featured on the BBC, NPR, Consumer Reports Health, and U.S. News and World Report. His blog - Just One Thing - has over 25,000 subscribers and suggests a simple practice each week that will bring you more joy, more fulfilling relationships, and more peace of mind and heart. If you wish, you can subscribe to Just One Thing here. Compassion is essentially the wish that beings not suffer -- from subtle physical and emotional discomfort to agony and anguish -- combined with feelings of sympathetic concern. Compassion is not pity, agreement, or a waiving of your rights. You can have compassion for people who've wronged you while also insisting that they treat you better. Compassion is natural; you don't have to force it; just open to the difficulty, the struggle, the stress, the impact of events, the sorrow and strain in the other person; open your heart, let yourself be moved, and let compassion flow through you. Feel what compassion's like in your body -- in your chest, throat, and face. Sense the way it softens your thoughts, gentles your reactions. Know it so you can find your way back again. Moments of compassion come in the flow of life -- maybe a friend tells you about a loss, or you can see the hurt behind someone's angry face, or a hungry child looks out at you from the pages of a newspaper. · Perhaps put your compassion into words, softly heard in the back of your mind, such as: "May you not suffer ... may this hard time pass ... may things be alright for you." · Going further, extend compassion to all the beings in your family ... neighborhood ... city ... state ... country ... world. All beings, known or unknown, liked or disliked. Humans, animals, plants, even microbes. Beings great or small, in the air, on the ground, under water. Including all, omitting none. Going through your day, open to compassion from time to time for people you don't know: someone in a deli, a stranger on a bus, crowds moving down the sidewalk. You can hear the new Tom Waits album in its entirety on NPR for the next few days - if you are a Tom Waits fan, this is a can't miss opportunity to hear the new material - his first studio album in seven years (and his 17th overall). Tom Waits generally sings like a psychotic carnival barker or a drunken lounge crooner. And I really mean that as a compliment. It's not everyone's cup of tea, that voice. Pushed to extremes like the characters in his songs, his voice is an exaggeration full of truth. He's a singer of blues sentiment like Screamin' Jay Hawkins or Howlin' Wolf orRadiohead's Thom Yorke. His latest album is called Bad As Me, and the songs on it sound truer than ever — partly because Waits' songwriting and arranging are still extremely potent, and partly because his thematic desperation fits this particular moment in history like a ragged glove. There's a line in one song about bailing out millionaires, and plenty of lyrics about money, jobs and the lack thereof. But Waits' music draws on the sweep of American history, early rock 'n' roll, old Mexican ballads and vaudeville-era pop, and you realize that these themes are depressingly eternal. Waits also sings about the power of love; about Eisenhower, Elvis and Wolfman Jack; about unlucky bodies piled up at the morgue; and, in a chilling song called "Hell Broke Luce," about a damaged soldier furiously trying to comprehend what he's lost, and the reasons why. At this point, Waits seems to be like Woody Allen: so respected by his peers that truly legendary artists come out for his projects. Keith Richards of The Rolling Stones is featured in "Hell Broke Luce," along with Marc Ribot, an old Waits crony who might be America's greatest session guitarist at the moment. But Waits is an auteur just like Allen, and all the players ultimately serve his vision. Waits is an old pro singing slightly freakish songs — which, after a couple of listens, reveal themselves as not so freakish at all. Just human. Everything about Tom Waits is a contradiction of one sort or another: He cuts an unknowable and even otherworldly figure, yet his songwriting can be tear-jerkingly humane. He's untethered to eras or trends, yet his sound and the characters he inhabits are distinctly American. And, for all the ways his image classifies him as a lone wolf, he's one of music's great collaborators, having spent the last three decades working closely with wife and songwriting partner Kathleen Brennan. Waits, of course, is an expert at feeding the mystery surrounding his deeply weird but strangely accessible music; to interview the man is to be led into a catacomb of misdirection and non sequiturs. But on his 17th album Bad As Me, out Oct. 24, Waits and Brennan continue to craft songs marked by uncommon empathy. Waits' first all-new studio record in seven years, it toggles constantly between heartsick vulnerability and hell-bound defiance: He may attempt to wake the devil in the stomping title track, commiserating with a lover who's "the same kind of bad as me," but a few songs later, he's grimly mourning his status as "the last leaf on the tree" — a survivor, but a lonely one. For Waits, vulnerability and defiance are two sides of the same coin anyway; just listen to the blisteringly ramshackle "Satisfied," in which satisfaction and death are practically interchangeable. He may exude fatalism in "Pay Me" — a punch-in-the-gut ballad in which he memorably sings, "All roads lead to the end of the world" — but his delivery is a carefully controlled mix of ruefulness and realism. For Waits, ugliness and beauty both find ways to persist against all opposition. But in the end, amid these 13 songs' furious clatter and gutter-level grime, beauty improbably wins out. Robert Trivers - Why Do We Deceive Ourselves?